Songs We Love: Blank Realm, 'Too Late Now' An Australian drone-rock quartet accidentally constructs a shoegaze epic about loss. 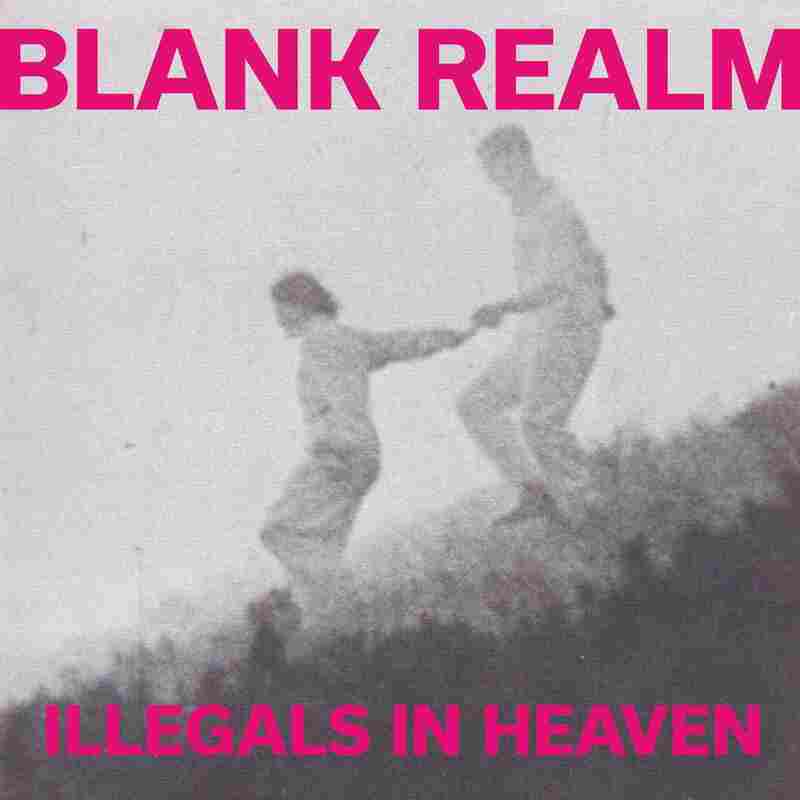 Blank Realm's new album, Illegals In Heaven, is out Sept. 4. Australian siblings Daniel, Sarah and Luke Spencer make up three-quarters of Blank Realm, a raucous, sometimes ramshackle, Brisbane rock band. Though they've been recording for nearly a decade, the past few years have seen the Spencers and their Realm partner, guitarist Luke Walsh, release two gloriously messy albums, Go Easy (2012) and Grassed Inn (2014), that conjured the Velvet Underground and krautrock without necessarily sounding like either. The group's new album, Illegals In Heaven, is a slightly polished update on those records (Daniel Spencer has called it the third in a trilogy), but its most memorable moment breaks from that mold. The closing "Too Late Now" harkens back to the shoegaze distortion of the band's cassettes from the late 2000s, only this time Daniel Spencer imbues those layers of guitars with a genuine sense of melancholy. It was kind of strange. I was late to band practice, after I caught the wrong bus and arrived well after midnight. When we are writing an album, we leave the tape on and just play, then we go back over it to see if there was any good stuff we want to keep working on. We came up with "Too Late Now" on the spot and then forgot about it for months. I guess because we were all tired when we first recorded it. We didn't go back to the tape until right before we went into the studio, and realized it could be the album closer we were looking for. It turned into this song about the moment when you realize people who have left your life—through death, or just falling out somehow—really aren't coming back; and that moment is sometimes sadder than when they are first gone. [The song] is a lot more emotionally honest than a lot of our stuff. We added the ending—which is I guess the most shoegaze-y part—in the studio. It's the work of Luke, our guitarist, Lawrence, our producer, and Sarah on synth. I didn't play on it, so I can just appreciate it. There's many, many guitar overdubs on there! Illegals in Heaven is out Sept. 4 on Fire Records.